Apple of Your Eye Anointing that He is going to release over the state of Washington and over Seattle, Washington. In worship the Lord began to show me a massive Apple in the Spirit. I said, God what is that, and he said it is what I am releasing, I am releasing the Apple Wine in Washington. 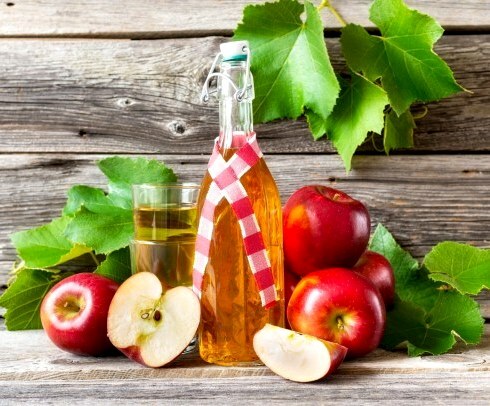 He said in Seattle, Washington, in the northern part of the country, in the northern part of the west coast, the Apple Wine is going to flow from the Mountain of God. I see the New Wine of Heaven coming and I see God releasing a Fresh Marking, a Fresh Release of the Peace of God, of the intimacy of God, the Apple of Your Eye Anointing that He is going to release over the state of Washington and over Seattle, Washington. I also see the firestorm moving in and moving out and moving in and moving out and the Lord is marking you today with New Wine in the Glory He is marking you today with the Apple of His Eye anointing of Intimacy with God and I see the Peace of God being released right now the peace that surpasses all understanding being released in Jesus name! The First Commandment is a Threat. May I share something kind of strange? OK. Thanks. 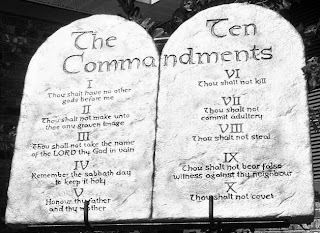 It seems to me that the first of the Ten Commandments (Exodus 20:3) isn’t really a commandment at all. The commandment in question says simply, “You will have no other gods before me.” There’s no command in that verse. It doesn’t say “Don’t do it.” There is no “Thou shalt not…” in this. 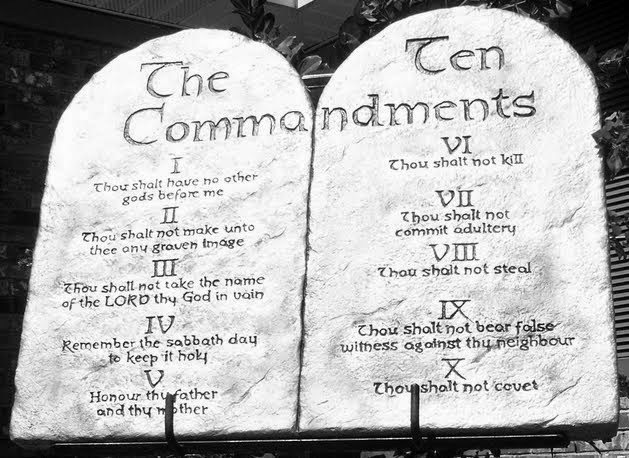 There’s actually no command in the first commandment. What there is, however, is a threat. This isn’t so much about what we must or must do. This doesn’t appear to be about us exercising our will power. This appears to be us being aware of God’s nature. If you enter into relationship with God, then God will be the big deal in your life. I wonder if this might be why some folks get into trouble? I wonder if sometimes, other folks – and they themselves may not even know about it – put them on a pedestal, perhaps because they are open to being treated with reverence or with the kind of honor that really only belongs to One. If I set up somebody as the authority in my life – maybe my pastor, maybe a famous author or conference speaker or maybe a godly broadcaster – if I listen to them for what I ought to believe, and how much money I should give and to whom, for the directions or limitations in my life, then I’ve set them up as a god in my life. Before the Lord. And the threat is ready to be applied. God will need to remove them from the “before me” part of my life. Now the real question applies: this is clearly an Old Testament / Old Covenant threat. Does this principle apply in the New Covenant? May I share with you my dream, and its sequel? I’ve never been a big one for dreaming, and until this dream, I’d never, until this dream, received instruction in a dream. The first dream: Many of us were on a large wooden ship. It was the size of a supertanker, but it was wooden. I don’t know where it was going, and I don’t think I ever did learn. Below deck, on a very large deck, was a smaller ship: not a boat, a ship. As my wife was away, talking with crew or passengers, I was below decks, preparing that ship. There were two things that were both heavy that I was loading up on. One was crowbars: not a “j” shape crowbar, but more of a “t” shaped crowbar. I loaded about 20 or 30 of them onto the smaller ship. I don’t remember the other. It seemed that I broke out a wall or a deck of the big ship in order to get the smaller ship out, and my wife showed up about that time to go with me. I woke up before we launched the smaller ship. I had the dream during the time that I was enrolled in a dream interpretation class, so I shared it with my friends in the class. They agreed: The large ship is the Sunday Morning church, and truthfully, I didn’t really know where that was going. My small ship below decks was a heads up: God was calling me out of the established church into something more personal. The crowbars were preparation for me to help others into similar freedom. What these good people didn’t know was that God had been calling me to do something I hadn’t done in nearly 50 years in the faith: to disengage from my local congregation, and to take responsibility for our own spiritual life, apart from a larger congregation: to become “unchurched.” It scared the stuffing out of me, which may be part of why Father affirmed it in a dream. Eighteen months later, I had left the Sunday Morning community, and my head was still spinning; this was something I’d never done before, something that I had regularly taught against, that I had prayed against. In that confusing season, I had the sequel to the dream, a dream that picked up right after the point the dream had ended. 1) I suddenly saw my surroundings, and I realized that the only things I could see were waves. I had no idea where in the vast ocean I had departed from the great ship. I didn’t know where I was. I had no bearings. 3) I hadn’t noticed this before. My small ship still had no sails up, and I’m not entirely convinced that I had sails on board. I was not anxious about that fact; in fact, in the dream, I was not attentive to it. 4) Everything was so quiet! I could hear everything: the seabirds, the waves slapping my ship, the wind in the rigging. 1) I was lost in a vast ocean: In truth, I didn’t actually know where I was in this great process that God is taking me through. I didn’t have any real reference points that mattered any more: experiential, social, psychological, theological. Everything was up in the air. 2) The waves appeared much bigger: There are issues around, issues that I never noticed before, that were now large and important to me. I had never really taken personal responsibility for my life and ministry before. Suddenly, I was aware of things God was emphasizing that I hadn’t even seen before. And now, I recognized gifts, particularly leadership gifts, on people outside of the traditional leadership positions, where I had never suspected them before. 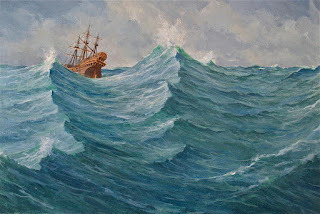 3) I had no sails: It was absolutely clear that I now had no control over my life and ministry. I had no capacity to choose if I would be ministering, or where, or with whom. The most unusual opportunities kept opening up, and I had no control over them. 4) Everything was so quiet: Without all the corporate noise in the background, suddenly, I was hearing Father’s voice so much clearer than ever before. It was incredibly comforting to have Father re-affirm all that I was experiencing, to know that he had all this in hand. Even though it was new and unsettling for me, it was still completely in his hands. I felt the need to share this experience (or this set of experiences) because I believe that there are others who are going through this kind of transition, or similar transitions. I want to say to you: Father knows what you’re going through, you can trust him. You can trust him to speak to you through dreams, and through your friends in the transition. 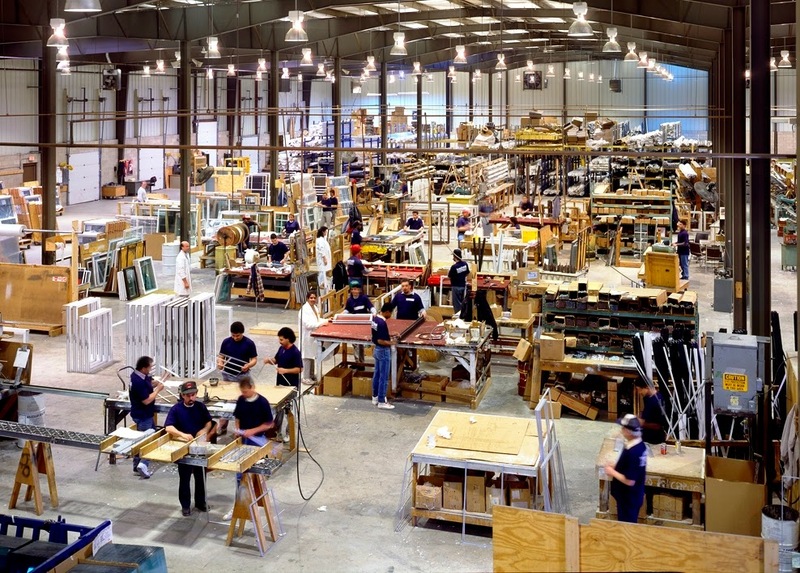 The first dream: Many of us were on a large wooden ship. It was the size of a supertanker, but it was wooden. I don't know where it was going, and I don't think I ever did learn. There were two things that were both heavy that I was loading up on. One was crowbars: not a "j" shape crowbar, but more of a "t" shaped crowbar. I loaded about 20 or 30 of them onto the smaller ship. I don't remember the other. 3) I hadn't noticed this before. My small ship still had no sails up, and I'm not entirely convinced that I had sails on board. I was not anxious about that fact; in fact, in the dream, I was not attentive to it. Sometimes it was in the morning, if I was able to drag myself out of bed. Mornings were my preference, and before too long, this confirmed night owl was up before the sunrise. Sometimes it happened before retiring for the night. More often, I just grabbed an hour or so wherever I could. I remember many times in an abandoned church building near where I lived, at my dining room table, in an empty classroom or lunchroom or conference room or a table at the library. Often times I parked for a while in a rest stop, or some wide spot in the road between here and there. The first thing after I sat down was usually a sigh, and I’d just sit there for a few minutes. Then I’d open my knapsack or reach to my bookshelf and pull out three things: my Bible, my journal, and a mechanical pencil. But before I opened any of them, we’d talk. “Hi Dad. Love you! I’m looking forward to what you’re going to show me today. Help me to see, eh? Help me to recognize what you’re showing me, please. Thanks. You’re awesome!” And I’d open both books at the ribbon. In my Bible, I was working my way through one of the books, section by section. Most translations have headings dividing up the text: I’d tackle no more than the space from one heading to the next. In my journal, I listed the date and the passage, and then I pushed that book out of my way, and I devoted my attention to the Bible. I read the passage through. You know the way you read a text book assignment that you don’t love? Yeah, this was not that. I read it slowly enough that my attention didn’t drift. If I could, I’d read it quietly out loud. During this time, I turned my imagination loose to walk among these people, hear the sounds, smell the smells of the story I read. If I was in an epistle, I’d listen for the apostle’s tone of voice, and I’d imagine how the people it was addressed to felt as they read it. If I felt like it, I’d look at a few cross references, but I guarded against bunny trails. But more than anything, I waited for the light to go on. Invariably, one verse would catch my attention, as if my Father were pointing to it, and saying, “Look here, son.” Sometimes it was just a word, or a phrase. Maybe it was a repeated word. Or an idea that never actually made it into words. If it didn’t happen the first time, I’d go back and read it again. I’d often underline the verbs, using a set of markings I developed for myself after years of this. If there was a list of things or a progression, I’d number the points. Sometimes I circled adjectives and adverbs. Sometimes I’d ask questions, of the text, of Father, about what was going on. But everything was just keeping me involved with the text until my attention was drawn to one part. That signal was like arriving at the X on a treasure map. It meant “Dig here.” That was the real assignment. The first part of digging was to write – legibly – the verse that stuck out to me into my journal. And then I go to work to interact with that verse, that passage, to dig for treasure in that spot. I figure that the investment of an hour was just about right, and good success would probably show evidence of at least one full page, more or less, of reaction in my journal. So I looked closely. My personal Bible always has cross references, but is never a “Study Bible.” I don’t want to hear what other people think. I want to discover what God thinks, and see if I can make my own thinking line up with that. My first step was pretty often to “center myself” and to dig into that little nudge itself, the nudge that said, “Dig here.” Often, that would give me some direction for my searching or meditation. I used different tools to dig. Sometimes I would literally outline the sentences, like in English class in high school. Sometimes, I chased down the cross references, both those in the margins and especially the ones in my own heart. But sometimes, it was just meditating on my one verse, reflecting it, asking questions of it, that brought the reward. 3) He would be killed: he doesn’t say by whom. 4) He’d rise again after 3 days. And as I was writing the outline, I realized I was thinking most about the fact that Jesus had never discussed this before. He was only free to talk about it after verse 29: after they realized that he was, in fact, the Messiah they were looking for. I wrote for a while on what it must have been like, knowing that this terrible stuff was coming, and not having anybody – not a single person on the planet – that he could talk to about it. I meditated for a while on how he himself learned of it, since he had been born as a normal baby (cf Philippians 2 and Hebrews 4:14,15) and he had to learn all this stuff in his own times with Father. I reflected on what that first conversation might have been like, when Father talked about what was going to happen. And I realized that Jesus got his direction from – more or less – from the same thing that I was doing just now. And I was done. Either I was out of time, or “the anointing lifted,” or something else. And that’s the point: I’m not looking to write a pretty article from this (though that came from it once or twice). I’m not looking for some big and powerful conclusion. The big conclusion isn’t the point of this. The point is that Father and I have time together in his Word. Years later, I realized that he was training me – through these times – to hear his voice, and that it was remarkably effective. But even that training wasn’t the point. The point was our time together, our relationship. Now, why have I just told you all this? It’s because of something I heard in our time together: I had the sense that some folks are pretty well grounded in hearing Father’s voice, but others are still scratching their heads and wondering how we do that? Father showed me that during our times together, he was teaching me how to hear him, how to hear his voice and how to recognize his voice. And it seemed to me that he was suggesting that someone might want to follow the trail that he and I cleared together. If you want to learn how to hear Father’s voice well, this is one way to learn. It has the additional benefit of giving you a solid grounding in the Bible. If you decide to follow this trail, you have my blessing, and more important, Father’s. May you have as much fun in your time with Father on this trail as I have! I know he’ll enjoy his time with you!